Discussion in 'Forum Introductions (Who are you!?)' started by Pedro6868, Apr 16, 2018. Thank you for this opportunity... I have never come across anything quite like this. I'm looking forward to learning, breaking out. I was 39 years old when I saw the original Matrix movie- on the big screen. Amazing how long ago it was. In those days I had still never used a computer and didn't yet have a cell phone. I did read books, however. The movie knocked me down. I walked out of that theatre in an altered state. I knew exactly what was happening. I smelled a rat early on in my life- I just could not put the pieces together quickly. That took decades. The Catholic dogma was force-fed to me along with all its accompanying psychological straight jackets-guilt and fear. I literally hated school from the get-go. I had to be dragged up the stairs where I was met by Sister Tarsisius who grappled with me trying to move me toward the first grade class. I kicked and growled but what brought me to heel was social embarrassment. The other children filed past me in line, looking right at me as they filed into the class. Social engineering brought me to heel. Growing up in a severely dysfunctional house I had no practical instruction as to how the world actually works. It was all programming. My silver lining is having been born into a family of highly talented artists. My father and grandfather were pros. I was advised as a boy, however, that if I wanted art it would have to be commercial art. Fine art, I was told, would never provide a living. I was duly warned. However, that was really the only thing I related to and so I set my heart on it at 16. I was a very curious lad. By 18 I had read such books as "The Biggest Con, How The Government is Fleecing You" by Irwin Schiff, and "The secrets of the Federal Reserve" by Eustice Mullins. I was quickly learning that there was a lot to learn and that the world was not as I was told it was. I went to the Art Students League of NY where I found another stifling set of dogmatic approaches to learning how to draw. I met a rebel teacher from Chicago who was undertaking a deep study of the human skeleton. I follow him down to Florida where I spent my early twenties sculpting the human skeleton and a deep study on a revolutionary approach to "opening the vision" kind of visual vocabulary. Let's just say that I was, by then, well adapted to ideas firmly "out of the box". It has been a long winding road. I turned myself into an excellent painter. It's has been a grueling road of huge sacrifice. I travelled the US for 17 years drawing caricatures at state and county fairs. In the winters I escaped the winters heading to Latin America where I continued to make art and learned to speak Spanish fluently. In 2011 I found myself back in NY painting on eastern Long Island. To keep costs down I lived in a barn with dirt floors and no running water. I did that for 5 years. To me value was to be found in free time. I had "so called" friends angry that I lived "like an animal" and family members who couldn't understand why I just wouldn't "join" the society. By 2012 I could see the noose tightening around everyone. I was wondering how I could make it work- to get out of the USA, land of the "not so free". I've made so many mistakes a long the way. I'm so talented it could make you cry, but I've had other deficits along the way- emotional difficulties I just did not know how to rise above. In 2015 I crashed and burned badly. I made some bad decisions and ran from what I thought I could not face. It got worse. However, it finally broke and opened up new opportunity. I had one last card to play to make things move. I sold a piece of scrub land outside Taos and it gave me ticket money. I moved to Nicaragua where I am now. I'm setting myself up again. Things are much more balanced here. I love the subject matter I have to paint here. It's still all kind of new. I loved the book Unscripted. I'm actually still reading it. I can see I've had a natural feel to avoid really stupid choices- like college. At the same time while I am a very smart individual I am financially illiterate. At 57 I'm basically beginning over again. Building a brand new website. Fresh ideas. I have invested decades into learning to paint- and ALL of that is still with me. I had that idea for years- to develop my talent- and have something that cannot be fleeced away from me. Alvarorm1, Bennu, craig1928 and 2 others like this. Welcome Pedro! You also have a talent for writing, besides art! Any chance you can post some of your work? Assuming it is PG13? I can post some work. Hi Pedro, nice to meet you! I'm a bit relieved to discover I'm not the oldest "turnaround project" of the forum. Thank you for your passionate and thoughtful introduction to your life. You have been through a hell of a lot. I'm sorry to learn of the abusive situations and bad advice that you've endured. I'm glad to learn that it couldn't crush your creative artistic spirit, and your desire to find your own path. So, you have artistic talent for sure, but haven't figured out how to substantially monetize that. I can relate to that all too well! I haven't read Unscripted beyond the free sample, but I did read all of MJ's Fastlane book. I highly recommend you get familiar with his NECTS formula to evaluate businesses. 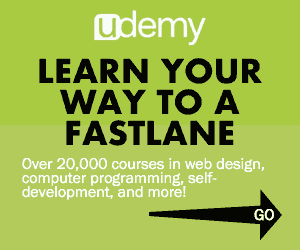 It's in Fastlane, but he's explained it in detail on posts here. I've done some web work that was for internal use at corporate jobs. I want to build a new portfolio that I can use to sell business web sites along the lines of Fox's business. I've thought that it would be nice to find a handful of clients for whom I could do some free projects until I have current proof of what I can do. Do you have what you need to get a web site going? Would you like some help or advice for free getting your art online, so that we could both get a current online portfolio up and running? (I hope you can tell there's not going to be any attempt to flip this for paid hosting service or whatever... it really is nothing more than an inquiry about whether we can scratch each other's backs at this time.) If not that's fine. I look forward to what we can both learn and share in this community! Thanks for the post. So what are you trying to say- that I'm an older "turnaround project?! You know how it is, the feeling of living behind your own eyes- essence remaining stable no matter what decade it is. I remember when people began to call me "sir"... I didn't relate to it. I still feel like a 22 year old. Not in my body I don't- but somewhere. Somewhere it never changes. I could have come up with that name- late bloomer. Ive been that way my entire life. Well, I just bought the Kindle version of Millionaire Fastlane. Certainly I will read it and get to the meat of it- and the NECTS formula you are referring to. Thank you for your generous offer to help me get my work online. As far as my website- I've been slowed by the fact that I am also learning video production right at this time. I have put in the time to make myself a very good artist. Of course that will move forward as nothing can remain good quality and remain stagnant. My issue had been self promotion and the lack of the tools necessary. The website I still have was created many years ago by my sister who is a pro. (I don't think it is permitted for me to post that site URL here) But she built that site before 2008 on an old platform. It is extensive, but outdated. I'm done having her in on any part of what I'm doing, it doesn't work any longer. So that site is sort of frozen- dormant since 2012. All my older work is there but it's a dinosaur. I need a CMS site. So now I'm using a Wordpress based site and I'm really just getting it going. I am recently moved to Leon, Nicaragua and I do not yet have a new body of work even to put onto the site. None of that really matters, however. All that will come soon. My approach is one that I hope will generate interest and therefore traffic to my new site. With the video, my plan is to open a YouTube channel and begin sharing what I do and how I do it. Meaning- sharing the life of an US artist in Nicaragua as well as instruction on how to paint. Next is to keep a blog going so there is fresh content. That- along with new work. Eventually I would like to offer workshops here in Nicaragua as well as some instructional products I can sell online (in addition to straight sales of my work). I do have ability to teach and painting is what I love- as well as doing that in this adopted country of Nicaragua which I am also very fond of. As far as help from you- I am certainly open to the idea. I cannot even wrap my head around how that might look structurally. But, at least you have the skeleton of the idea from which I am thinking. Let me know what you think. Thanks a lot for your interest. And thanks for reading my introductory post. The idea of this forum definitely piqued my interest. I had no idea anyone would actually write to me. I didn't mean disrespect, and hope it didn't come across wrong, to refer to BOTH of us as "turnaround projects." Is the video work for straightforward documentary type shooting? Or for more artistic production? Oh, I read down your post and saw your plan for youtube. I think that's an awesome idea! Your combination of life experience in general, being an expat, and being an artist, could make a very compelling unique channel. How's it going to learn video? My background includes some video work. I don't currently have a rig, so I can't offer direct help there, but if there's anything I can do to answer some questions in that area please feel free to pick my brain. I think Wordpress is a great choice for your new site within in your own control. Did you know there is a very large market for third party themes for Wordpress? I wonder if that might be a quick way for you make some extra money. You might have already found this out, sorry if I say what you already know. You can start a Wordpress blog for free with free hosting at wordpress.com. Unless you pay extra, there's wordpress.com at the end of your site name, but I don't see that as a showstopper. Disadvantage is that you can't add plugins. Advantages are, not just that it's free and has extremely unobtrusive ads on free accounts, but that it's fast and has a huge community for conversations and comments spanning different members' blogs. Also you can get support with the basics of learning how to set up posts, pages, categories etc. Once you're familiar with Wordpress in that way, you can add your own domain name and/or move the site to your own hosting, for more control but at the expense of you being in charge of the full tech-geek stack. What I had in mind was to help you sort through the themes and messages you want to convey, pick some art that's representative of your creative vision, and get it up on a Wordpress blog. As soon as I get some money ahead, I'll have some extra hosting capacity of my own, as I'm a tech-geek, and we could then move your blog to my hosting but with you still having full and total access to all the administrative pages to do all the maintenance yourself. One of the great things about Wordpress is that it's designed to be easy to import/export and relocate sites, so if it subsequently made sense for you to move on to a different hosting arrangement there's no risk of lock-in. I was totally joking with you and did not take offense. I'm definitely a turnaround project, and a late bloomer. No offense taken. It's all in good humor to look back at horrible errors and blow it off with humor. I've done the beating myself up thing, thank goodness that phase is over. I still have a lot left in me. Not everybody pulls it together early. Quite the contrary as outlined in the forum's author's two books. Waking up late is still waking up. The video thing is coming along. I happened upon a site that offered a program to speed up the whole process. I began and am finishing up now with their "30 Day Video Challenge". Apparently the two most common problems newbies have is lack of technical expertise but even more than that is shyness or outright fear to get behind the camera. So the challenge is to follow along with the daily emailed "prompts" and then make a video. We're just about at the end of this whole "free" program. Naturally it follows with a paid program offered at a pretty good price. I think I'm going to go ahead and just DO it. I kind of like being spoon fed with something I have some social fears around. Nothing like doing it anyway. The technical end seems to be just doing it and "finding out" moment by moment answers to immediate questions. You mentioned making money (large market) with Wordpress third party themes. I have not a clue what that means. I already have a domain name, and a host server that I'm happy with so far. I weighed it out and that definitely seemed to be the way to go. I'm in now with this host for at least two years. As far as the help your offering at this point I need some time to consolidate my own process and decide how I'm going to approach this site. It has to happen soon but I pulled off it to follow this video program. Thanks so much for your offer and I will stay open, I just need some solo time for right now. 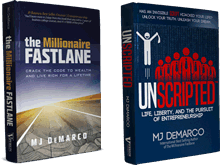 Im trying to do so many things at one time as well as consume the two forum books- "Fastlane" and "Unscripeted". I see people who have read the book put a banner up on their profile- I will as soon as I finish- but I don't see how they are doing that. I know, it's a real doozy of a tech question and will make you laugh but I'm fresh in that way. I don't see an "Ive read the book" button. Where is that? Pedro, I wasn't able to view your file attachments. I kind of like being spoon fed with something I have some social fears around. Nothing like doing it anyway. The technical end seems to be just doing it and "finding out" moment by moment answers to immediate questions. Ah great! I'm glad we've got good vibes going. "Waking up late" is a mixed blessing. With more life experiences and more to ponder in more ways than someone younger, once we get on the right track we have a lot we can bring to bear to the situation. But, we can also have more elaborate forms of inadvertent sabotage, and a bigger backlog of unhelpful habits and ideas that need to be changed. Makes it trickier to try to find the right new balance. I can appreciate the desire to learn step by step. I was criticized, from another post of mine here, for not immediately signing up, as is quick, easy, and obvious to do, on a brand new type of site for me: the marketplaces for freelance gigs. I responded today about how I wanted to truly understand the contracts and terms that were involved, which I doubt the people who signed up instantly actually read. It'll be interesting to see if that's considered a valid concern, or if I'll be told that was just a fearful excuse for inexcusable inactivity. The video program sounds like a great educational approach, and also an effective marketing technique. Free samples can make it easier to give something a try, and discover you like it! In Wordpress, there's a clear distinction between two parts of a site. There's the content, such as the list of authors, list of categories, and for each page, who is the author, what's the category, what's the title, etc. Then there's the theme, which is the colors and layout used to specify how the content is displayed. Is it in one column or multiple columns? Where are the menus located? Is each story shown in full, including the author's name? Is there only a short previous with the title and date and just the first few lines? These are all set by the theme. That makes perfect sense. If you can put it in terms of the creative flow you already use for your artistic projects, I'm sure you'll do great. In my case I went to the forum here for people who've read Fastlane, and put in my comments about the book. MJ responded, and then I saw that my profile showed the badge that I've read the book. I didn't notice if the badge was automatically added by my posting in that forum, or if it's something MJ turned on by hand when he checked for new book reviews.